The Snoopy balloon has been a part of the Macy's Day Parade since 1968 when he appeared as Snoopy the Aviator, and he has been featured in 36 parades since, which is more than any other balloon. Last year he was missed when he was pulled for some reason lost on all Snoopy fans. Worry not, he's back this year. The completion of Snoopy's makeover also cements the balloon's standing at the most balloon versions throughout the years for the parade. The lovable Peanuts character has appeared as an astronaut from 1969-1977, an ice skater from 1986-1987, and a flying ace and Millennium Snoopy. This year, Snoopy will be cruising down the parade route as classic nose-diving snoopy with Woodstock atop his head. 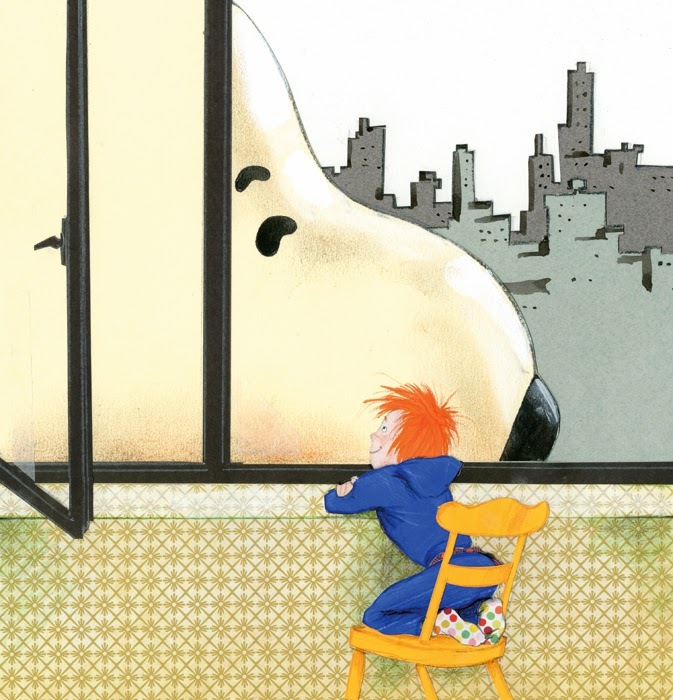 Enjoy this rendition of Snoopy in the parade by Robert Wagt, illustrator extraordinaire. And, Happy Thanksgiving.